Being in the mountains of Switzerland is not just about the skiing and snowboarding, it is about the lifestyle, culture, and of course the picturesque scenery! 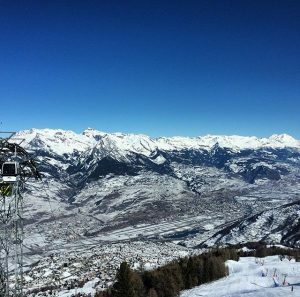 The front side of Nendaz looks down to the Rhone Valley, allowing your eyes to follow the meandering river through the impressive mountains either side of it towards Sierre. In the foreground is the town of Veysonnaz, and directly across the valley is the magnificent skyline of Haute de Cry and Mt Gond. 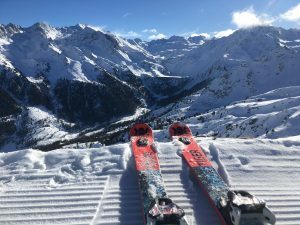 If you are a beginner, or non-skier, you can see this from the top of Tracouet, although for the best view take the La Dent poma lift and head to the top of Nationale. At the top of Plan de Fou you can see 360 degrees, which is incredible in itself. 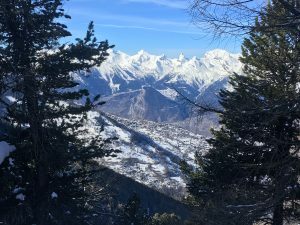 On the itinerary side you can see towards la Tzoumaz and the back of Savoleyres, but the truly stunning side is towards Siviez and the Lac de Cleuson Dam. The terrain along this valley is very varied so there is always a lot to look at. With few lifts along its length, it has an air of remaining untouched. This is also accessible on foot from the Plan de Fou Gondola. At the top of Greppon Blanc (2700m) you are rewarded for clinging on to the steep poma for 7 minutes! This is a view of accomplishment, and is such a view that only strong skiers and boarders will be able to appreciate it. 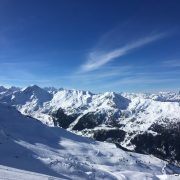 The view back down towards Siviez is stunning, where you can see La Dent and Plan de Fou of Nendaz, as well as Mt Gele of Verbier on the far left. Wander up a bit further to the top of the Itinerary L’Eteygeon and you can get a view into the next valley along. 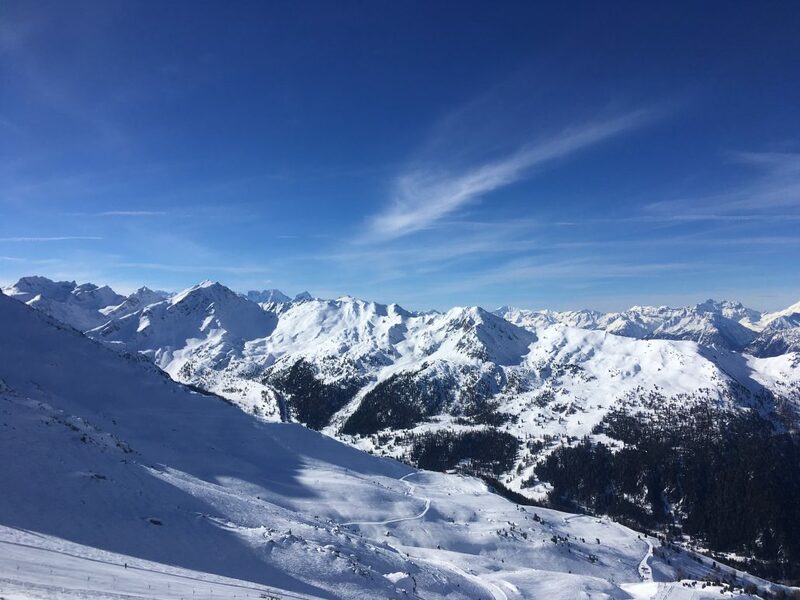 The furthest point to the left of the 4 Vallées yields a different view, it too overlooks the Rhone Valley, but its main draw is the scenery across the Val d’Herens. Only accessible via a black run on return, this view is also afforded to those confident on the snow. Maybe living in Nendaz means I am biased, but the route towards Veysonnaz gives a perfectly framed picture of Nendaz on the opposite side of the Valley. This path is tranquil and makes you feel as if you are alone with your thoughts and the mountains. A parallel path slightly lower down that follows Bisse de Vex exists during the summer, offering this super view year round.